Crude oil storage levels in Canada don't often get a lot of publicity. As world oil production continues to rise, oil storage is suddenly big business everywhere around the world. And Canada is no exception. There is over 60 million barrels of crude oil storage capacity in Western Canada, most of it concentrated in 2 locations: Edmonton and Hardisty, Alberta. Combined, the 2 storage hubs have an estimated capacity of 49 million barrels. An estimated 20 million barrels of capacity have been added in the past few years alone. And that number keeps growing. The Trans Mountain expansion line (if approved) will see Kinder Morgan build more tanks in Edmonton, Burnaby and Abbotsford, BC. Midstream players like Keyera, Gibson and Pembina Pipelines are in the process of increasing tankage in Alberta, now expanded to include significant volumes of diluent or condensate. 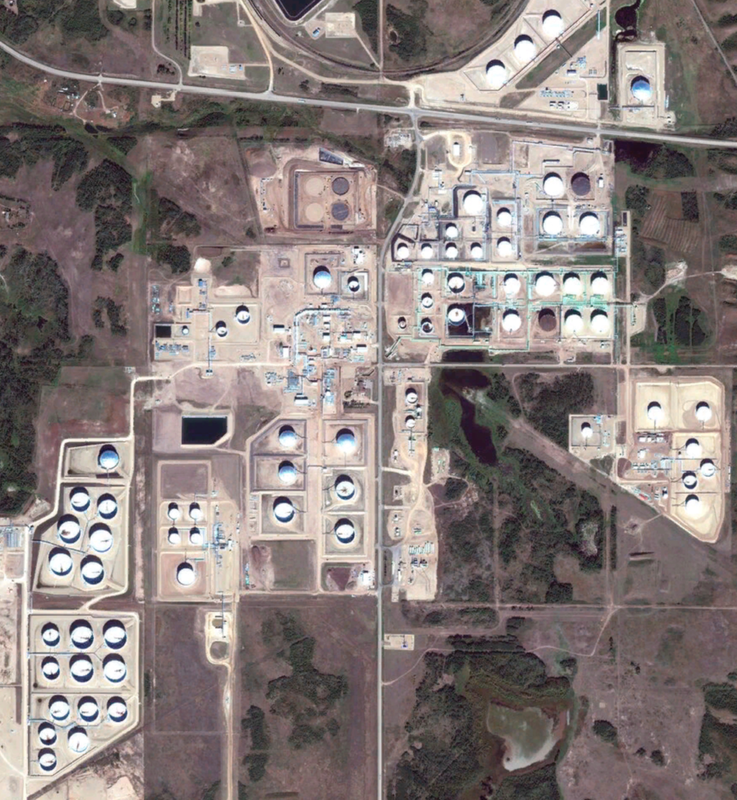 The latest figures estimate Canadian oil storage tanks are less than 50% full. That number is considerably lower than the US since (a) a lot of capacity has been added in the past few years and (b) most of Western Canada's oil production is exported to the US and stored at mega-terminals located in Cushing, OK and the US Gulf Coast. Nonetheless, Western Canada's crude oil storage capacity now tops an impressive 62 million barrels and rising. US storage capacity makes Canada look puny. The Cushing storage terminal alone has a capacity of 74 million barrels, more than all of Western Canada combined. But that pales in comparison to the 400 million barrels of storage capacity located in the five PADD districts and 727 million barrels held within the country's Strategic Petroleum Reserves (SPR). In fact, the US Energy Information Agency (EIA) estimates there are over 2 billion barrels of crude oil and petroleum products in storage south of the border. Excluding SPR volumes, US storage tanks are running close to 60% of total working capacity. 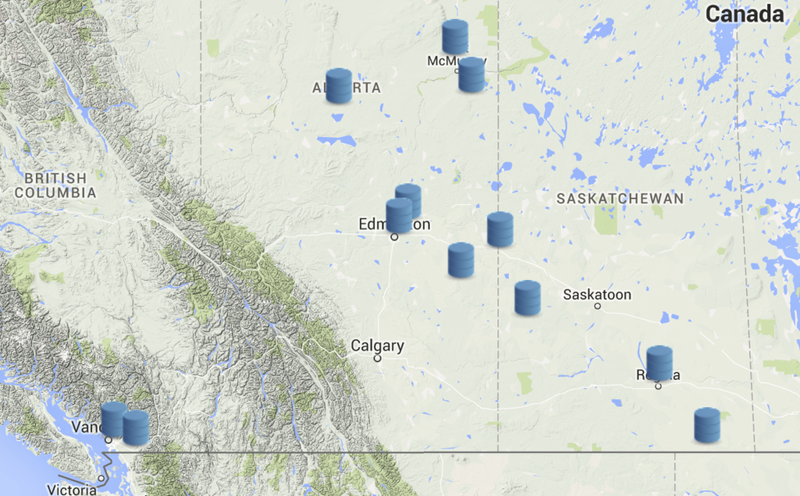 A complete list of Western Canada's major crude oil storage terminals can be found on the Overview Map under the "PROJECTS" menu header, including interactive maps and storage capacities. Data and maps are updated on a quarterly basis.